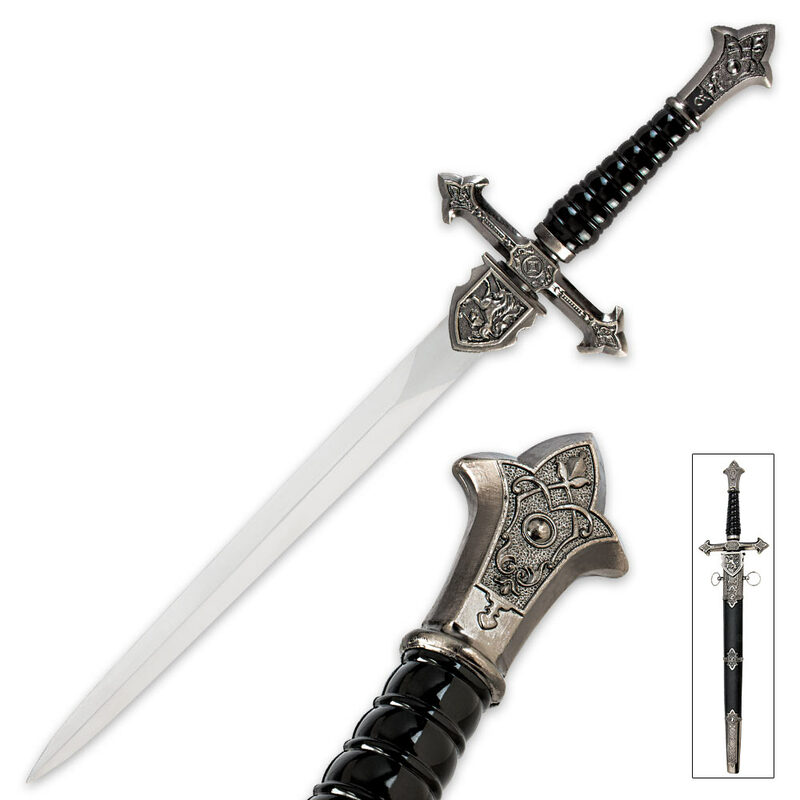 Add the Ornamental Medieval Black Sword to your Medieval collection. This magnificent show-piece is elegantly detailed and intricately designed. 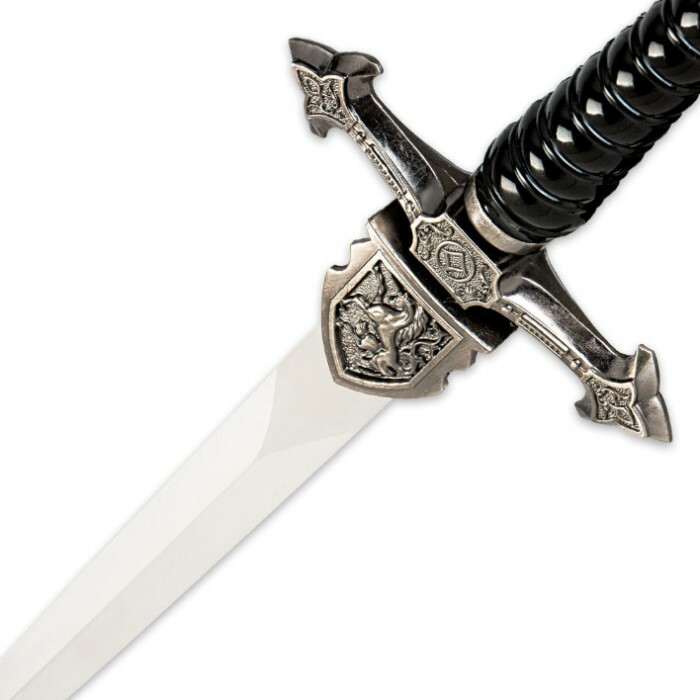 The 12" stainless steel blade is mirror polished and the aluminum hilt cleverly mimics pewter. 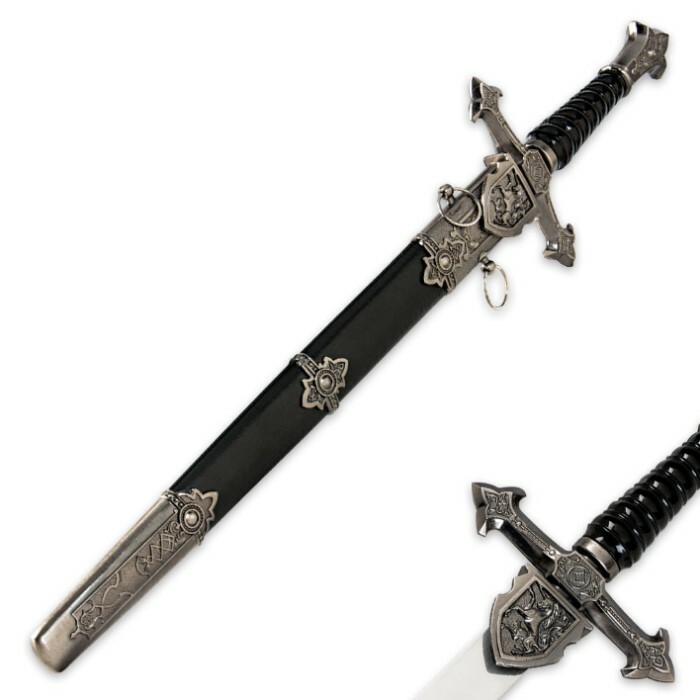 A genuine leather scabbard that is ornamented with the same pewter look completes the picture. It is 20" overall length.